Available on the Barnes & Noble and Amazon links in the sidebar, and more. On the one year anniversary of Quietus’s publication, its sequel, Terminus, is now available in Audiobook format! The audiobook was produced by Recorded Books and narrated by Gildart Jackson. This past year has been an astounding experience, and I’ll have more thoughts on it as soon as I can scavenge the time to type them up. I’m grateful to have the chance to share more stories in more formats, and for the wonderful work of everyone bringing them to the world. My debut novel, QUIETUS and its sequel, TERMINUS, came out in 2018. (QUIETUS released in March, and TERMINUS in November.) 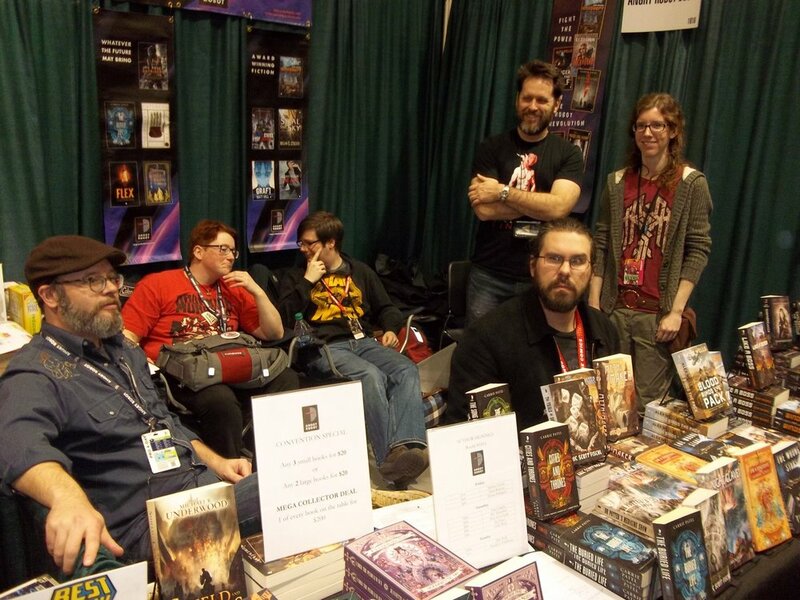 This makes them each eligible for the Hugo Awards’ Best Novel category, as well as the Campbell and other Best Novel or Best Debut awards. 2018 has been an incredible year for me, and I’m pleased just to have my books on shelves and to be eligible, and honored by any support my work receives. The Black Death ended three decades ago, but not in the way that it “should” have, and the consequences are reshaping civilization. Half of Europe has been devastated, and half spared. The coming wars may take more lives than the Great Mortality ever could. And no one on Earth knows the reason why. The living planarship Ways and Means has come to medieval Earth and ended the Black Death, but it keeps its intentions to itself. Someone is trying to kill its agent Osia, who is suffering through her own exile. Spy-turned-anthropologist Meloku becomes a target, too. While they fight to survive, Fiametta - an Italian soldier, mercenary, and heretical preacher - raises an army and a religious revolt, aiming to split Europe in half. 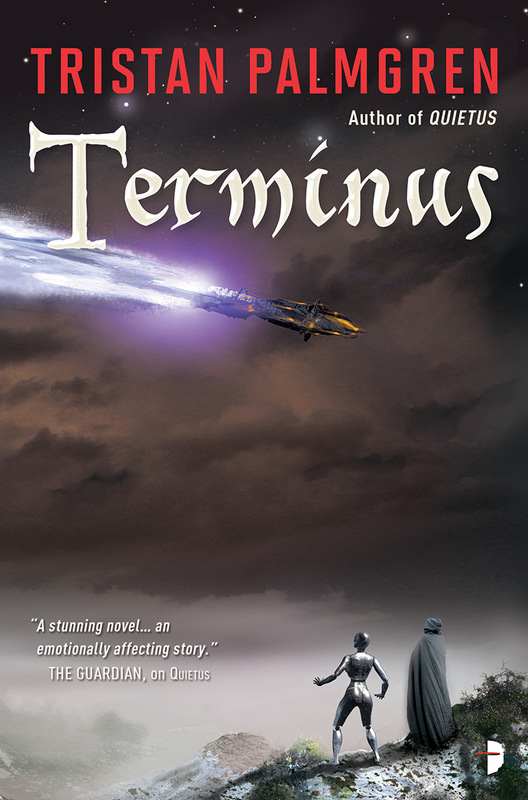 TERMINUS, the sequel to QUIETUS, is available at any of the links in the sidebar, and at neighborhood libraries and booksellers! 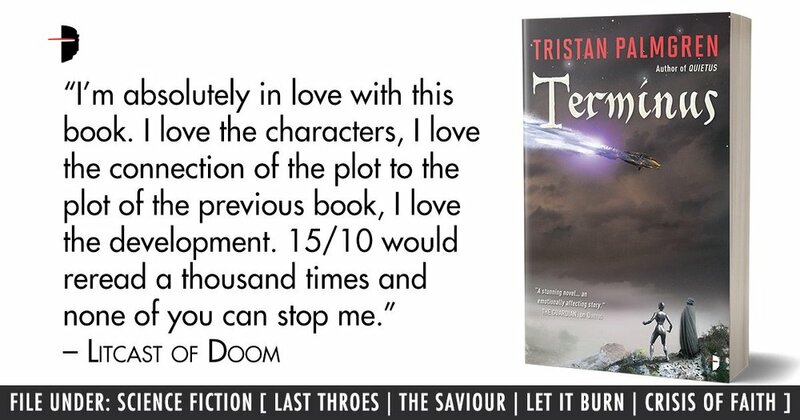 Ride with the condottieri of Italy into a maelstrom of interdimensional chaos and conspiracy. TERMINUS, the next book skewing the dark, messed-up history of death in the medieval world, is out in the UK, Australia, and New Zealand now. The Black Death has ended, but in a way it never should have. Half of Europe never felt its touch. Now, thirty years later, the wars have just begun. And outside powers are meddling. Two former agents of a multiverse-spanning empire, exiled to Earth, have discovered that someone much too powerful is trying to kill them.